Vendors in Gweru have raised alarm over the resurfacing of space barons at council-run market stalls who are allegedly subdividing them and charging exorbitant prices in rentals on a daily and weekly basis. 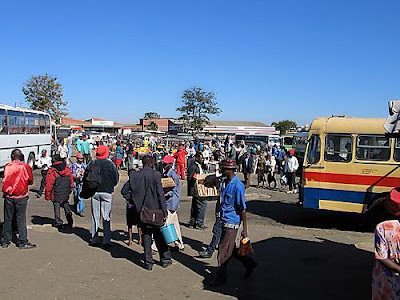 Kudzanayi Bus Terminus has been identified as a hotspot for space barons who subdivide the stalls to third party tenants and charge them exorbitant rentals. Speaking during a recent full council meeting, Councillor Cleopas Shiri said the emergence of space barons in council run vending stalls was negatively affecting revenue inflow. “We have received reports of space barons at Kudzanayi Bus Terminus who are charging rentals in foreign currency to the third party owners,” he said. Responding to the issue, Gweru Mayor Josiah Makombe instructed the chamber secretary through the policing department to conduct a thorough assessment of the situation before a clearing operation can be launched. “It must be established whether the people operating at the bays are the ones who are registered and paying council levies,” he said. Clr Makombe warned all those who are sub-letting council space that they would soon descend on them. “We will exclusively deal with space barons just the same way we manage to restore sanity amongst vendors,” he said.